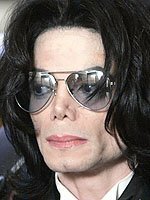 AUGUST 24--A search warrant affidavit sworn by a Los Angeles detective provides a detailed account of the police probe into the death of Michael Jackson, whose doctor told cops that he had been treating the pop star's insomnia by intravenously administering the powerful anesthetic propofol in the weeks before his June 25 death. The affidavit of LAPD Detective Orlando Martinez was included in a search warrant application filed last month in Houston, Texas, where Dr. Conrad Murray maintained an office and a storage unit. A copy of Martinez's affidavit, prepared last month, can be found here. Murray, reportedly the subject of a criminal probe stemming from Jackson's death, told investigators that he "felt that Jackson may have been forming an addiction to" propofol, and tried to "wean Jackson off the drug." The affidavit notes that Jackson "was very familiar with the drug and referred to it as his 'milk.'"